Greens fees: Weekdays, $10 (9 holes, Willoughby resident, walking) to $26.50 (18 holes, cart); weekends, $11.75 to $37. 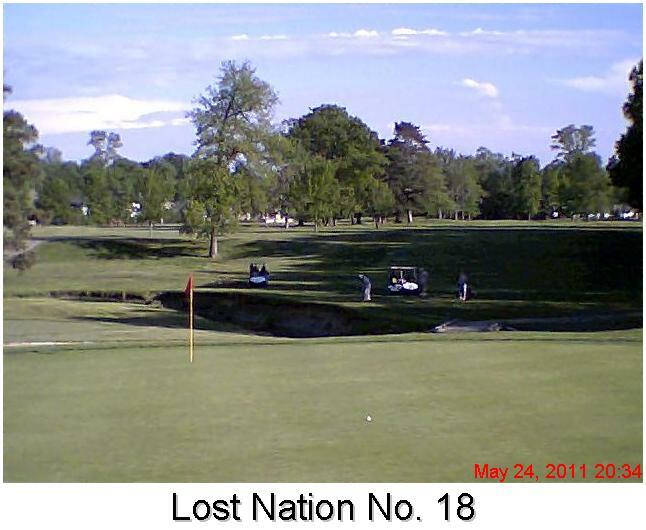 There always will be soft spot in my heart for what now is called Willoughby Lost Nation Municipal Golf Course. In the summer of 1963, shortly after my 11th birthday, my grandfather Johnson "Hank'' Glasier (aka "Bop'') and dad S.J. "Joe'' Glasier took me to Lost Nation to play my first round of golf. My set of hand-me-down clubs included vintage woods with wood shafts, Sam Snead Blue Ridge irons (3-5-7-9) and a simple blade putter. We went out after Bop and Dad had finished their day's work in Cleveland at the family business, Glasier Caskets. I'm fairly certain we played nine holes. I absolutely remember walking off the 9th green thinking I'd play the game for the rest of my days. Dad and Bop and gone now, but Lost Nation is still there and still a big part of my life. With its easy access to my home in Eastlake and twilight special - $8 walking after 6:30 p.m. for all the holes you can play before darkness - I'm a frequent customer. The place I fondly call "The Nation'' has an interesting history. 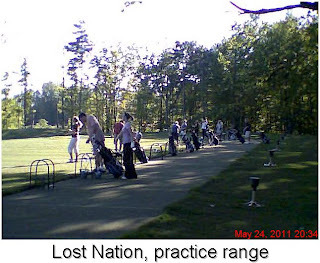 It opened in 1929 as Lost Nation Golf and Hunt Club. Credit for design of the course was assigned to prestigious British golf architecture firm of Colt, Alison & Morrison, Ltd. The firm's namesakes were Harry Shapland Colt, Charles Hugh Alison and John Stanton Fleming Morrison. Colt, Alison & Morrison, Ltd. was quite active in the Cleveland area in that era, having done the designs for nearby Kirtland Country Club (opened 1921) and Westwood Country Club (opened 1926). My educated guess is the original owners of Lost Nation took advantage of the firm's presence here and engaged its services. Conversations over the years with old-timers who were regulars at Lost Nation led me to believe the essence of the original design has been retained through many updatings and necessary changes. Playing conditions at Lost Nation have varied throughout the years. They've been really good, good, bad and indifferent. The look of the areas surrounding the course and adjacent Lost Nation Airport has changed, too, with construction of houses and condominiums on the periphery of the course's footprint. The City of Willoughby purchased the course in 1988 and took over operations two years later. 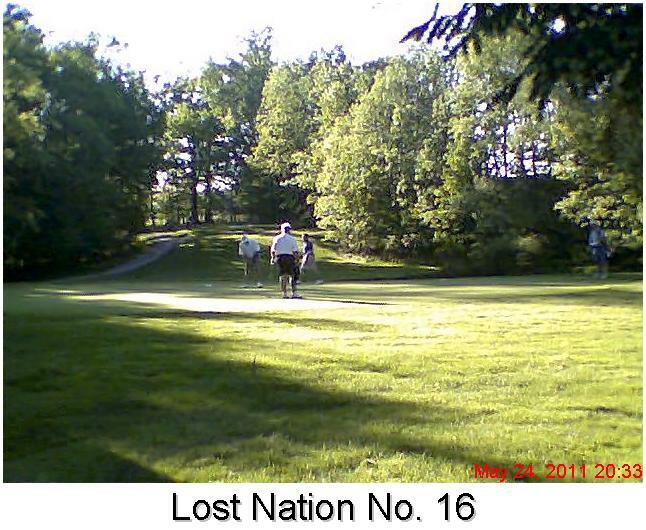 Lifelong Willoughby resident Mitch Allen, a talented course superintendent, has worked at Lost Nation for 21 years. Since 1997, he's been general manager. With support from Willoughby Mayor (and avid golfer) David Anderson and City Council, Allen has overseen extensive renovations of the course's infrastructure. The last five years have been an especially busy period with construction of the new clubhouse and maintenance barn, repairing of extensive damage caused by the July 2006 floods, construction of the new driving range and several bridges and the digging of a new irrigation lake astride the 13th and 14th holes. Allen said the floods of 2006 proved to be a turning point in the course's history. Other projects of note have been the re-design and construction of the 2nd and 11th holes. "We've plowed $3 million back into the course,'' said Allen, who also has overseen the tweaking of many other holes and reconstruction of sand bunkers ruined by the July 2006 deluge. The new practice range, bounded by the 17th, 11th and 15th holes, is in its second full season of operation. This is one of the best practice areas at public courses in this area. It's also proved to be a money-maker in otherwise lean economic times. 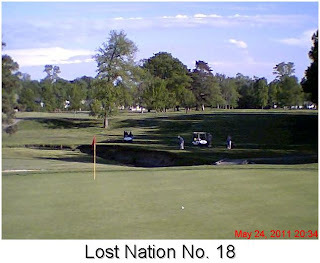 Lost Nation has one great hole in the par-4, 415-yard 15th hole and plenty of good holes. Notwithstanding the sogginess of this spring, the overall condition of the course is good. There still are a few rough spots here and there, but superintendent Greg Hill and his crew are addressing them systematically. Head professional Brian McCoy and his clubhouse staff handle their business in friendly fashion. The greens fees are reasonable, too. As soon as this terrible weather gives way to summer, I'll make at least a couple of twilight golf appearances every week at "The Nation.'' With clubs lashed to the pull cart, there will be opportunities to savor an invigorating walk against the backdrops of golden sunsets and deer coming out to graze at dusk. For sure, as I stick a tee in the ground on the tee or survey a putt on one of Lost Nation's greens, I'll think of that long ago evening with Dad and Bop.